The only place my mother was keen to visit within the U.K was Bath. I've been to Bath on two other occasions (here and here) but there's something about this charming and refined town that I just can't get enough of. I thought I was pretty well organized trying to locate a decent B&B two weeks in advance but no, most were fully booked. Every single weekend for the following two months. Clearly, there's a shortage of accommodation in Bath. Out of sheer luck, there was a vacancy on the following Sunday at the well reviewed Badminton Villa. It's a 15 minute walk uphill or a 5 minute ride in a taxi (costs £8). The twin room we were given was spacious and cozy. Despite the late check in as we'd decided to explore the city and grab dinner in town first, we received a warm reception upon arrival. Let's move on to the more important bit. The breakfast. My emotions are ruled by the state of my belly (note I'm not talking about the physical appearance). We were served toasts, an assortment of cereals, juices, yoghurt and fresh fruit followed by a choice of cooked breakfast. My scrambled eggs were cooked to perfection - moist, creamy and delicately flavored served with smoked salmon and Irish potato bread. Thankfully, the stroll downhill was much needed to burn off the massive breakfast. gosh looks SO divine! you have some amazing photos!!! Looks like you had an amazing view! That photo is absolutely gorgeous! :) And your breakfast looked absolutely yummy! :) Hope you have a great weekend sweetie!! 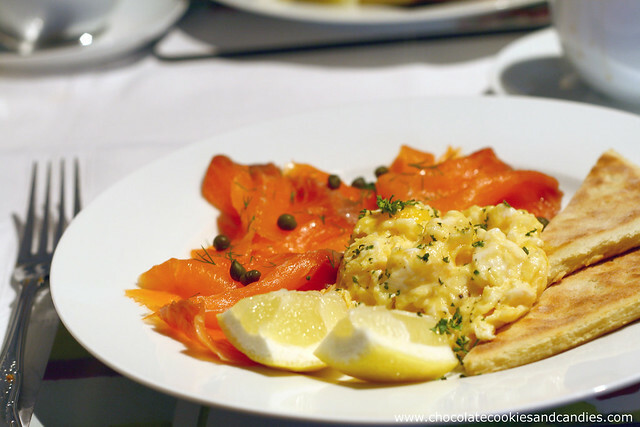 Mmmmmm ..... smoked salmon with scrambled eggs. The English certainly know how to do breakfast. 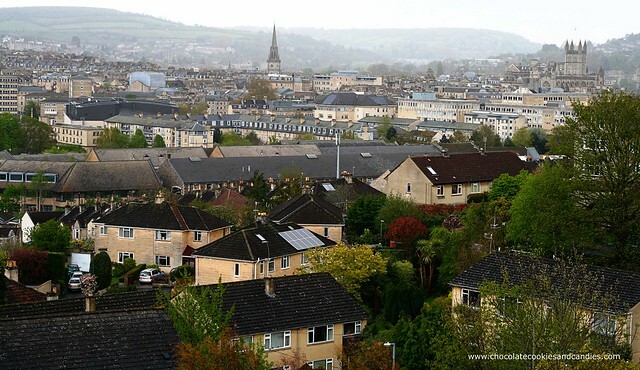 Bath looks charming and picturesque! Beautifully presented food. Looks really yum but I succumbed to the call of the raisin and cinnamon bagel this morning again. Oh my poor belly. I love Bath too though I have not been in many years. I follow a blog by the flower girl (Becky May) http://www.theflowergirlblog.com/ and she runs a boutique called Mint where she sells unworn designer clothes and goods. Might be worth a look if you are in the vicinity. Details of the boutique can be found at the bottom of her blog page. Pls pm me the B&B you stayed, through Fb if you can!!! You take some really magical photos Marlene. Your breakfast looks divine... And that view is simply amazing! I am totally with you - my mood is directly linked to my food intake... My husband and I often joke that our view of a town we're visiting is usually governed by the state of our stomachs! Bath is so pretty and quaint. These pictures are gorgeous.